at The Old Art School (the mill) in Port Hope. mail: JTTA, 190 Hope St. N., Port Hope, Ont., L1A 2P4. which includes everything you need to know and include in your registration. If you have any further questions please don’t hesitate to email us! 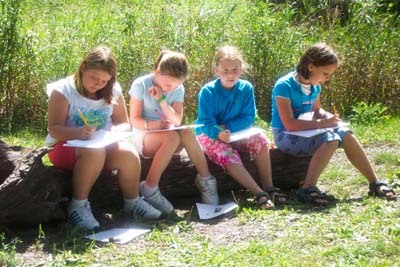 We are looking forward to another wonderful summer at the mill! 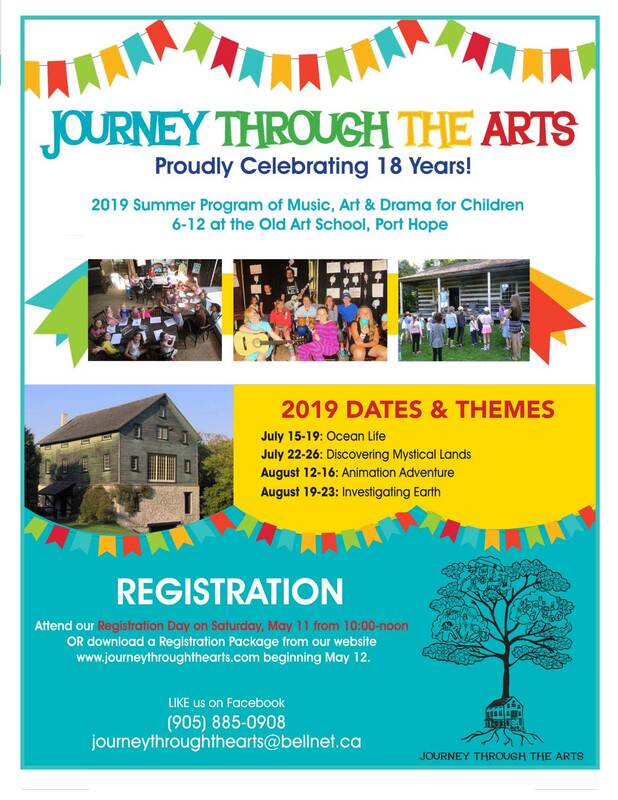 Journey Through the Arts has been offering a summer programme for children ages six to thirteen since the summer of 2001. Since then over 1,000 participants have experienced the widest range of arts interaction in the community. With weekly themes that culminate into a grand performance, kids will get to experience a production from every possible angle. From writing their own plays and acting, to designing costumes and sets, these children literally do it all to create their own one of a kind theatre production. Kids will also enjoy writing their own music and have the chance to experience different instruments as well as learn how to write and perform their original compositions. Participants will also be exposed to a wide variety of visual art workshops including; printmaking, pottery, jewelry design, painting and more, with their work being on display at the end of each week for all to see! At Journey Through The Arts we are committed to offering an unmatched chance to explore the arts as well as an opportunity to meet new friends and provide your child with an unforgettable experience. Journey Through the Arts. Copyright © 2019. All rights reserved.